The word is out the world is finally discovering that Cashiers, North Carolina is filled with all sorts of hidden gems! Already well-known for our temperate year-round climates, breath-taking mountain views, eclectic collection of shops and restaurants, and unique brand of Southern Hospitality what many are now learning is that our golf courses rank up there with some of the finest in the nation! Just last week, a ranking site out of the United Kingdom Top 100 Golf Courses of the World released their list for 2011. Their original shortlist consisted of 216 courses from countries all over the world, including The United States of America, Australia, England, Ireland, Scotland, New Zealand, Canada, France and more. 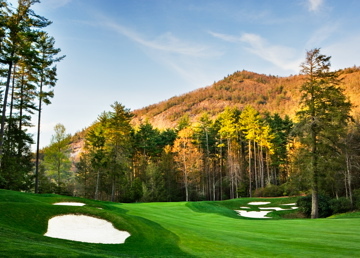 In the end, New Jerseys famed Pine Valley Golf Club walked away with top honors, the renowned Augusta National in Georgia ranked #3, and Cashiers own Wade Hampton Golf Club was recognized among the best courses in the world at a highly respectable #52. Wade Hampton has been honored once again by the recent release of Golfweek Magazines Best Residential Courses earlier this month. Wade Hampton Golf Club was listed as #3 in a list consisting of 100 national courses stretching from Kiawah Island, South Carolina in the East all the way to Carmel Valley, California in the West. Topping the list is another highly esteemed Cashiers golf course Mountaintop Golf & Lake Club at #1! Whether youre a scratch golfer or an avid hacker, Silver Creek Real Estate Group welcomes the opportunity to introduce you to these two fine communities in the Blue Ridge Mountains of North Carolina. Celebrating a quarter of a century as one of Western North Carolina's most sought after luxury communities, Wade Hampton Golf Club features an 18-hole championship golf course designed by Tom Fazio. 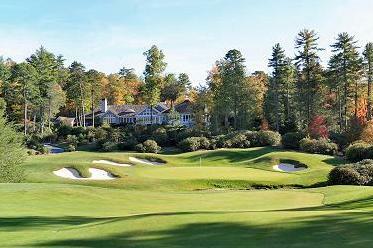 The Wade Hampton Course has received accolades since its inception. In keeping with a Club of such high stature, the Wade Hampton clubhouse offers beautiful views of the golf course and Chimneytop Mountain, as well as world-class dining. Tennis, swimming, fishing and hiking throughout the beautiful natural setting that surrounds the course are just a few of the other activities available to residents and club members at Wade Hampton. Membership to this exclusive club is by invitation only. The residences that line the narrow lanes of Wade Hampton Golf Club under a canopy of trees rest on lots ranging from one quarter to over five acres in size, and vary from quaint mountain cottages to palatial estates. On the other hand, a relatively new kid on the block Mountaintop Golf & Lake Club is quickly growing in popularity and reputation as one of the most superb communities the Highlands-Cashiers Plateau has to offer. Perched high atop a beautiful expanse of the Blue Ridge Mountains at 4,000 feet above sea level, Mountaintop offers its residents some of the most stunning views in the region. Set upon a sprawling 731 acres, the developer Discovery Land Company has designed a luxury mountain retreat community of just 251 estate lots and 75 cabins and lodges peppered about the property. Lots range in size from one-half acre to five acres, providing residents with the peace and quiet that has become a trademark of luxury mountain living. Mountaintop also offers a Tom Fazio-designed golf course that is every bit as challenging as it is breathtaking. Other activities available to residents of Mountaintop include water sports at the private Lake Club on nearby Lake Glenville, horseback riding, fly fishing,hiking or simply relaxing while being pampered at Mountaintop's world-class spa. To schedule a personalized tour of one or both of these wonderful mountain golf course communities, call the experienced team of brokers at Silver Creek Real Estate Group TODAY at 828.743.1999. We can also be reached by e-mailing us at info@ncliving.com or by filling out our helpful online contact form. As always, we welcome the chance to meet you and your family in person and invite you to drop by our offices the next time you are in Cashiers. Were located in the Shoppes at CreekSide, near the Cashiers Crossroads. If youd like to learn more about Silver Creek Real Estate Group, Wade Hampton Golf Club, and/or Mountaintop Golf & Lake Club, please visit the Silver Creek website at www.ncliving.com. 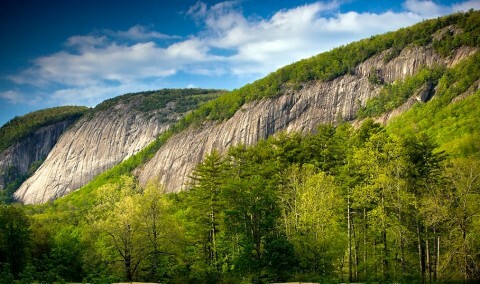 Cashiers, North Carolina is one of the Southeast's premier resort destinations. Widely known for its amazing atmosphere, unique culture, upscale shopping and world-class dining, the historic village of Cashiers has been a haven for vacationing families for well over a century. Drawn to the natural beauty of the area and mild temperatures that accompany elevations of over 3,500 feet above sea level, countless visitors have selected Cashiers as their vacation spot of choice and keep returning, year after year. For those who live here year round, breathtaking views of the Blue Ridge Mountains continue to astound, the scents of wildflowers and mountain laurel blended together on a cool mountain breeze continue to inspire, and the activities of a stroll through an ancient forest or the time-honored tradition of a day of fly fishing continue to delight. Since its inception, the Cashiers community has been based largely upon a foundation of Southern Hospitality in celebration of nature's splendor. You are welcome to enjoy an outdoor concert on the Village Green, explore the gift shops that line the streets of Cashiers' downtown area, or just sit back, relax and breathe in the unforgettable sights and sounds that surround you. One more thing ... if you want to blend in with the locals, make sure you pronounce Cashiers correctly! Although it looks like the word for a person who rings up your purchase at a store, it is actually pronounced KASH-erz. Our website and blog provide you with a complete list of restaurants, shopping,golf courses and much more. We have also provided you a Visitor's Guide for the entire Cashiers, Highlands, Sapphire, and Lake Glenville area. Cashiers contains some of the most exclusive neighborhoods in Western North Carolina, with distinctive homes amid rich forests, sparkling lakes and expansive mountain views. We invite you to visit Cashiers and fall in love with this one-of-a-kind community, as so many families have done before you. Silver Creek Real Estate Group has included below a list of some of Cashiers' most exciting communities and subdivisions. Contact a Silver Creek broker today to begin your quest for the perfect vacation home, real estate investment or your "heirloom" dream home, a home that will be passed down from generation to generation, in the spirit of the pioneers who first settled here. Tucked away on heavily wooded lots, with a charming outdoor fireplace at the heart of the community, lie the lovely cottages of Arrowhead. This exclusive gated community is conveniently located at the edge of Cashiers along Highway 107, providing residents with the tranquility that has become synonymous with life in the Blue Ridge Mountains, as well as easy access to the upscale dining and shopping district of Cashiers, North Carolina. Each home is unique, boasting stone accents, vaulted ceilings, oversized screened porches, flexible floor plans and masters on main. The two- and three-bedroom cottages, designed by prominent Carolina architects Meyer-Greeson-Paullin-Benson, are the perfect fit for the dedicated entertainer or the peaceful weekender. The cottages at Arrowhead border the renowned communities of Wade Hampton and Chattooga Club. Set high atop a mountain bearing the same name, the homes at Big Sheepcliff provide some of the most spectacular vistas North Carolina has to offer. This private gated community offers large, secluded lots and a short drive to the fine dining, culture and shopping of Cashiers, presenting its residents with opportunities for the best of both worlds. With nature playing a central role throughout the development, 52 acres of the property have been donated to the North Carolina Nature Conservancy, making this the ideal community for any nature lover. Visit Big Sheepcliff today and enjoy breathtaking views of Lake Glenville, Whiteside Mountain, Terrapin Mountain, and beyond. Like most communities along the Highlands-Cashiers Plateau, Cedar Creek is rich in history and abundant in prestigious, highly sought-after subdivisions. Subdivisions of Cedar Creek include Cedar Creek Cliffs, Cedar Creek Woods, Cedar Crest, Cedar High, Cedar Hill, Cedar Meadows, Cedar Ridge Estates, Chinquapin, High Hemlock, Laurel Falls, Little Sheepcliff, Mountain Waterfall Estates, Pinnacle Ridge, and Zachary's Gap. Central to the community lies Cedar Creek Racquet Club, a private tennis club established in 1981, featuring a family-friendly environment for those who choose tennis over North Carolina's popular sport of golf. Aside from tennis on well-maintained clay courts, Cedar Creek Racquet Club also features Lupton Lake, a state-of-the-art fitness center, hiking trails, racquetball, fishing, canoeing, swimming and so much more. Cedar Creek as a whole is a stunning collection of luxury homes and family farms. Cedar Creek is easily accessible by way of Cedar Creek Road from Highway 107 at Lake Glenville and Highway 64 at Cashiers. Situated between Cashiers and Sapphire Valley, Cedar Hill is an upscale, gated community offering its residents awe-inspiring views and the very best in luxury mountain living. Whether searching for the latest in elegant mountain construction or a very special lot to call your own, Cedar Hill will not disappoint. An easy hike from your backdoor will lead you to the natural splendor of waterfalls set amongst a backdrop of hardwoods. Be one with nature, but enjoy the modern conveniences of underground utilities available to all home sites and a short drive into town. Residents of Cedar Hill have access to all of the amenities of nearby Wyndham Resort at Fairfield's Sapphire Valley including golf, swimming, tennis, health club and much more (see Sapphire Communities for more information). When Rivers Enterprises set out to develop the exclusive gated community of Chattooga Club, they sought to pay homage to the native architecture and cultural heritage of the Western North Carolina region. With an upscale, family-friendly club atmosphere against the backdrop of the beautiful natural scenery of the property's 200 acres, Chattooga Club offers something for everyone, from quaint cottages to lavish custom homes and estate-sized home sites as large as 14 acres. The Club's Life Enhancement Center seeks to live up to its name by offering a variety of the latest fitness equipment, high energy aerobics classes and personal trainers, paired with a world-class spa featuring relaxing indulgent offerings like body massage, facials, manicures and pedicures. You may feel like you've taken a step back in time to a bygone era when you play on one of two beautifully maintained croquet lawns. Additional Club amenities include three Har-Tru tennis courts, heated swimming pool, fully stocked trout lake, active children's programs, hikig trails and gourmet dining at The Chattooga Club Lodge. Club membership is by member referral and board approval only. "Luxury Condominiums for Discriminating Taste" reads the tagline for Chattooga Ridge. Set at one of the highest elevations on the Plateau, 4,000 feet above sea level, residents of Chattooga Ridge will enjoy cool mountain breezes and remarkable panoramas from over 500 square feet of outdoor living decks year round. The condos average 2,700 square feet of heated indoor living spaces, which include a two-car garage with an elevator to each unit, two fireplaces (one located outdoors on the living deck), 10-foot ceilings and professional grade appliances. 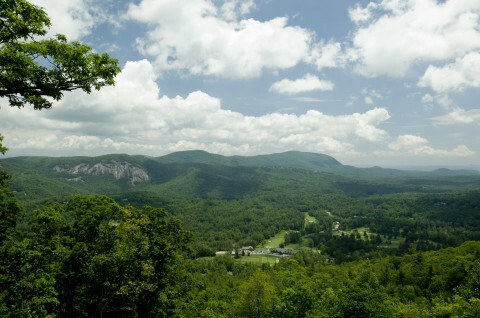 Chattooga Ridge offers its residents an uncompromising Cashiers mountain lifestyle. With a credo touting "Life as it was meant to be lived ... naturally," the 2,000-acre mountain community of Chinquapin takes their charge very seriously. Homes in Chinquapin are designed to appear as one with the stunning natural landscape. Chinquapin's sprawling backyard includes 6,600 acres of Panthertown Valley National Forest, featuring miles of winding hiking trails leading to at least eight major waterfalls, and sandy beaches beautifully framed by trees for a relaxing respite by a clear mountain pool. Situated in the mountains between Highlands and Cashiers at 4,250 feet above sea level, Cullasaja Club combines luxury living and the ultimate in leisure for a truly one-of-a-kind community. At the heart of this exclusive gated enclave lies a par 72, 18-hole Arnold Palmer golf course, as well as a clubhouse with mixed grill and formal dining room. Cullasaja Club also boasts one hard surface and five lighted clay tennis courts, state-of-the-art fully-staffed fitness and activity center, and canoeing, kayaking or fishing on fully-stocked Lake Ravenal. Some of the most sought after and established neighborhoods in Cashiers can be found in the High Hampton community, bordering the High Hampton Inn and Country Club. Many of these subdivisions are located just south of the Cashiers Crossroads, offering easy access to the unique shops and restaurants that line downtown streets. A collection of upscale High Hampton homes are located along Chattooga Wood Road, Heaton Forest Road and Sheep Laurel Road. High Hampton is not only a fine example of luxury mountain living, but pays tribute to a long tradition of "heirloom" properties as families tend to return year after year and pass these homes down from generation to generation. Rich in history and brimming with Southern hospitality, High Hampton Inn and Country Club has been charming visitors of Western North Carolina since the early 19th century. Beloved mountain retreat of South Carolina's Civil War Brigadier General, Governor, and U.S. Senator Wade Hampton III (1818-1902), many of the buildings and historic artifacts from the original family estate were lost in a fire in 1932. Construction began almost immediately of a three-story inn in place of the previous Hampton Hunting Lodge. Listed on the National Register of Historic Places, the inn still stands today, and continues to serve up unrivaled service along with its famous fried chicken and decadent desserts. With all the natural beauty and outdoor activities available at High Hampton, patrons of the historically accurate rustic Inn will hardly miss the fact that there are no telephones or televisions in the guestrooms. Visitors are invited instead to enjoy swimming, boating and fishing on the 35-acre private mountain lake, as well as golf, tennis, hiking and spa. For more than 175 years, guests of High Hampton have been enjoying grand views of the Blue Ridge Mountains, Chimneytop Mountain and Rock Mountain. A wonderful retreat for families and noted for its imaginative children's programs, High Hampton has been honored as one of 100 Best Family Resorts. Vacation homes and quaint cottages are also available throughout the property's 1,400 acres. The Inn and Country Club is a favorite spot for corporate retreats, weddings and family reunions. Just a short three-mile drive from the Cashiers Crossroads, the lovely gated community of High Meadows offers a private enclave of home sites of up to 10 acres in size. Bordered by the stunning beauty of the Nantahala National Forest, with crystal clear views of Whiteside, Terrapin, Sassafras and Black Rock Mountains, High Meadows of Cashiers serves as a quiet refuge for its residents. With community playing a central theme, as it does in many Cashiers communities, a lovely pavilion with outdoor fireplace and picnic area is at the heart of High Meadows. It serves as a perfect gathering place for neighbors or special family events. A network of hiking trails run throughout the neighborhood ideal for a morning hike, mountain biking, horseback riding or an evening stroll under starry skies. Nestled between High Hampton Inn and Wade Hampton Golf Club, Little Terrapin provides spectacular views of the Cashiers valley and close proximity to all that Cashiers has to offer. The Little Terrapin Mountain Summit climbs to an astounding ,052 feet above sea level, making anyone who is fortunate enough to reside there feel like a veritable "king of the mountain." With a history dating back to 1895, Lonesome Valley has served as a bastion to the great outdoors since Pittsburgh entrepreneur E.H. Jennings first acquired 35,000 acres near the sleepy village of Cashiers. Gracefully spanning the valley floor of the largest box canyon east of the Rockies, Lonesome Valley is said by many to be the place where Heaven and Earth meet. Today, with planned activities for residents and amenities such as community gatherings in The Farm House, recreation in The Sports Barn, and relaxation at The Remote Spa, Lonesome Valley is anything but. Cottage and home designs pay homage to the Southern Appalachian farmhouses of a bygone era. Great care is given to preserving the history and natural setting that Lonesome Valley has become famous for. True to its name, Mountaintop Golf & Lake Club is perched high atop a beautiful expanse of the Blue Ridge Mountains between the popular destinations of Cashiers and Highlands, North Carolina. At 4,000 feet above sea level, Mountaintop offers its residents not only some of the most beautiful views in the region, but also extremely pleasant climates, no matter the season. Set upon a sprawling 731 acres, the developer Discovery Land Company has designed a luxury mountain retreat community of just 251 estate lots and 75 cabins and lodges peppered about the property. Lots range in size from one-half acre to five acres, providing residents with the peace and quiet that has become a trademark of luxury mountain living. From a cascading waterfall to a nest of birds high atop a hardwood tree, the sights and sounds of nature surround the community. However, for those who seek more than just peace and quiet, amusing activities abound. Mountaintop is highly revered for the level of service available to club members through the added benefits of property management and lifestyle concierge services. For the fun lover, Mountaintop offers a Tom Fazio-designed golf course, as well as opportunities for water sports like kayaking, wave running and canoeing at the private Lake Club on nearby Lake Glenville. 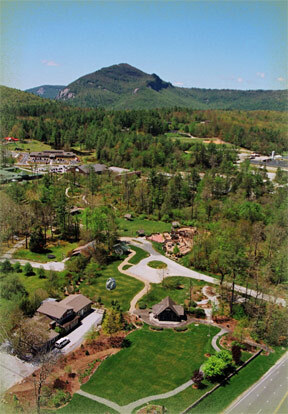 For the nature lover, Mountaintop offers horseback riding, fly fishing and plenty of trails for hiking and exploring. For those seeking inner peace, a trip to Mountaintop's world-class spa should do the trick. The possibilities are truly endless. At a vantage point of 4,700 feet above sea level, homeowners at Old Edwards Club at Highlands Cove will feel as though they're on top of the world. Situated between the historic mountain villages of Cashiers and Highlands, this master-planned gated community houses 440 acres of some of Western North Carolina's most stunning terrain. Whether you're searching for the perfect home site to building that dream home, or considering the easy maintenance of a luxury condominium, Old Edwards Club at Highlands Cove may just be the answer. Central to Old Edwards' amenities are the superbly manicured par 71 championship courses of the Highland 9 and the Cove 9. PGA professional instructors are available for private lessons to help residents up their game. The full service, 15,000 square foot Clubhouse at Old Edwards Club complements the Spa and Fitness Center beautifully. In an effort to offer the very best to their residents, the clubhouse and golf course at Old Edwards Club at Highlands Cove is currently undergoing extensive renovation. Plans are also underway for a swim complex to round out the resident's leisure experience. Old Edwards Club at Highlands Cove offers their homeowners a trifecta of nature, leisure and luxury living. Named after famed conservationist Gifford Pinchot, this unique 350 acre community was master planned by renowned Carolina designers Seamon Whiteside + Associates. A self-proclaimed "mountain meadowland," the view from just inside the community's gates is all blue skies, green trees and the graceful rolling hillsides of the Blue Ridge Mountains. Located just off of Highway 107 near the town of Cashiers, Pinchot offers residents striking multi-million dollar residences and estate-sized home sites ranging in size from two to fourteen acres. Pinchot features several community parks, a common outdoor fireplace overlooking the town of Cashiers and Whiteside, Chimneytop and Rock Mountains. Whiteside Overlook serves as a popular community summerhouse with simply stunning views of Whiteside Mountain. Easy access to both Lake Hurricane and Lake Glenville are available from the community, and many properties include membership in Mountaintop Golf & Lake Club (upon applicant approval). Nestled near the Cashiers Crossroads adjacent to the sprawling Big Sheepcliff Community, the twin gated communities of Sheepcliff Crossing and Sheepcliff Woods are relatively small in comparison to some of the expansive communities available along the Highlands-Cashiers Plateau. Both Sheepcliff Crossing and Sheepcliff Woods offer their residents a more private, exclusive experience, ideal for the family seeking the quiet and solitude of life in the Blue Ridge Mountains. Custom homes avaiable within each community reflect an Adirondack style of architecture rustic elegance with heavy timber and stone accents giving one the sense of taking a step back in time. Perched on the outermost edge of Cashiers and overlooking the Sapphire Valley, Spring Forest is a distinctive gated community offering the best of luxury mountain living along with panoramic vistas of the beautiful Blue Ridge Mountains. Many of the custom designed homes in this prestigious neighborhood are architectural masterpieces. Named for South Carolina's Civil War Brigadier General, Governor and U.S. Senator Wade Hampton III (1818-1902), Wade Hampton Golf Club was built upon 600 acres of land parceled from the historic High Hampton grounds near Cashiers in 1984. Now celebrating a quarter of a century as one of Western North Carolina's most sought after luxury communities, Wade Hampton Golf Club features an 18-hole championship golf course designed by Tom Fazio. The Wade Hampton Course has received accolades since its inception, including a #1 ranking in GolfWeek Magazine for Best Residential Golf Course in 2009 and recognition as the highest ranked course in North Carolina in Golf Digest Magazine's "America's 100 Greatest Golf Courses" in 2007. The course was also recently honored with a ranking of #54 of the Top 100 Courses in the World! In keeping with a Club of such high stature, the Wade Hampton clubhouse offers beautiful views of the golf course and Chimneytop Mountain, as well as world-class dining. Tennis, swimming, fishing and hiking throughout the beautiful natural setting that surrounds the course are just a few of the other activities available at Wade Hampton. Membership to this exclusive club is by invitation only. The residences that line the narrow lanes of Wade Hampton Golf Club under a canopy of trees rest on lots ranging from one quarter to over five acres in size, and vary from quaint mountain cottages to palatial estates. Nestled at the base of the north face of Whiteside Mountain, Wildcat Cliffs Country Club was built to accommodate those with both discerning taste and a love of the natural splendor found on the Highlands-Cashiers Plateau. Situated between the resort villages of Cashiers and Highlands, there are plenty of activities and amenities to keep residents within the gates of this private membership club. Built on the highest elevation of the Plateau, the Wildcat Cliffs Golf Course designed by noted golf course architect, George W. Cobb offers plenty of challenges, as well as incredible views. Central to the community, the 21,000 square foot clubhouse features a fabulous dining room with cathedral ceilings, lounge and bar area, outdoor terrace overlooking the putting green and pro golf shop. Other amenities include an indoor pool kept at a comfortable 84 degrees year round, a 12-foot-wide stacked stone hot tub strategically placed next to a roaring fire in the cooler months, a fully staffed and equipped Fitness and Activity Centre, a lakeside pavilion and picnic area, three Har-Tru tennis courts, and exclusive Glenville Lake Club. Wildcat Cliffs provides a family-friendly environment to all of its residents and promotes camaraderie amongst its Club members. It is everything a country club should be "a club based on personal relationships and shared affinities." This spacious home on over six acres is located just minutes from Cashiers and offers beautiful Whiteside Mountain views. Soak in the tranquility of the mountains while sitting on the wraparound porch, or take advantage of the central location and enjoy the area's renowned dining, shopping, and golf, all just minutes away. The expansive great room is part of an open floor plan that offers plenty of room for entertaining large groups with a large dining area, hardwood floors, and a dramatic floor-to-ceiling fireplace. A wall of windows floods the entire space with natural light. Enjoy the stunning view as you cook in the gourmet kitchen equipped with premium stainless steel appliances and fine custom cabinetry. There are multiple bedrooms on the main level, as well as additional bedrooms on both the lower and upper level. The family room on the lower level features a fireplace and its own complete kitchen and dining area, providing guests with privacy and comfort. This premier estate home in prestigious Cedar Hill offers loads of curb appeal, fine finishes, a spacious open floor plan, and year-round mountain views on a private, gently rolling 3.49-acre lot. This fantastic mountain retreat was custom built with great attention to detail and features five oversized bedrooms and bathrooms, a gourmet kitchen, whole home surround sound with exterior speakers, double decks, a screened living porch with wood burning fireplace, an attached two-car carport, and much more. Loaded with mountain charm, this inviting and roomy retreat is sure to have something for everyone! The community of Cedar Hill is an upscale, gated community offering the best of luxury mountain living in the heart of Cashiers. Full Sapphire Valley Resort amenities are available as well. Offered for the first time, this warm and inviting home offers majestic views of Whiteside Mountain from every room. Entertaining family and friends is a joy in the beautiful great room with wet bar, formal dining space, gourmet kitchen with large center island and breakfast bar, and an expansive porch with its own cozy fireplace and hot tub. Perfect for casual entertaining and hosting guests, the spacious two-story floor plan features two bedrooms on the main floor with his and her bathrooms, while the lower level includes two bedrooms, two baths, a sitting room with fireplace, and another covered deck. Kids and pets will love the fenced-in yard and garden area. Beautifully landscaped and on a very quiet street, this lovely property offers privacy and luxury behind the gates of The Chattooga Club, an elegant, immaculately maintained gated community in the very desirable area of Highway 107 South. Amenities include Lake Chattooga, stocked yearly with trout, and a picnic area with gorgeous views of Whiteside Mountain. Gather some friends to enjoy the stunning vistas and watch the incredible sunsets. Club membership is by invitation only.